What Is the Brain and How Do Its Functions Affect Therapy? The brain is a dense collection of nerve tissue that acts in concert with the spine to control bodily functions. Some anatomists conceive of the brain as a network of related neurons and connections rather than as a single organ. Most animals have brains and central nervous systems, but the complexity of the brain varies greatly from animal to animal. People have large brains relative to most other animals, and their brains are enclosed in a hard skull that protects the brain from injury. 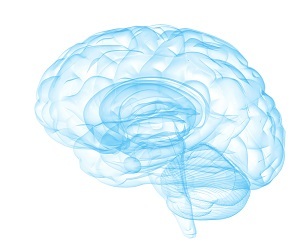 The brain connects to the spinal cord, which controls many automatic functions. For example, reflexes are controlled by the spinal cord, which is why people tend to pull their hands away from a hot stove prior to feeling the heat or thinking that the stove is hot. Each brain region is further subdivided into smaller regions and brain components. The hippocampus, for example, is found in the temporal lobes of mammals and plays a role in memory. The brain gives rise to the mind, which means the brain plays a powerful role in thoughts and feelings. Brain injuries, changes in brain chemistry, and illnesses that affect the brain can alter cognition, emotions, and behavior. Much of the mental health field is heavily focused on brain function, and psychiatrists often prescribe psychoactive medications that change brain chemistry in an attempt to improve the symptoms of mental health conditions. I’ve always been curious about brain condition treatment, and how it plays into everything else. I like that you talked about the brain giving rise to the mind, and being vital in playing a role to thought and feeling. I think that being able to have some sort of brain condition treatment would be helpful to people who are struggling, and seeing what are some good options for improving thought and feeling!